Transformer Oil Cleaning Systems Offered solution under this system not only save the major equipment at power plant like boiler burner front, all the transformers, clean oil and dirty oil tanks, governors of hydro power plant, but also utilize less resources of client in terms of saving the consultancy cost. We manufacture Transformer Oil Filter Machine of variable capacities of 600 to 10000 lph which can be customized to special capacities if required by the clients. Our Insulating Oil Filters are designed for the efficient treatment of insulating oil used in transformers, switchgear, substations and switching stations. 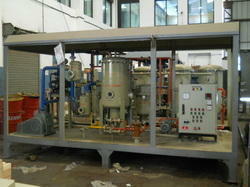 These filters perform filtration, dehydration and degasification in medium vacuum environment. 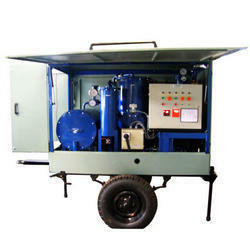 Taking quality as our prime concern, we are engrossed in offering Transformer Oil Filtration Machine. - Deposition of impurities on the product surface lead to poor surface finish. Organization is acknowledged in the domain as one of the leading suppliers of Transformer Oil Filter Machine. ulfur hexafluoride (SF6) is an inorganic, colorless, odorless, non-flammable, extremely potent greenhouse gas which is an excellent electrical insulator. SF6 has an octahedral geometry, consisting of six fluorine atoms attached to a central sulfur atom.